Growing up in New Castle, Pennsylvania, a blue collar town an hour north of Pittsburgh, Wanda Mrozek always knew she wanted to help people. A daughter of Polish immigrants, Wanda believed that hard work and a good education were the foundation for success. One of four children, Wanda attended Duquesne University where she earned a degree in pharmacy and later began a career as a pharmacist working for one of the largest pharmacy chains in the country. She and her husband Garry had two children, Stephanie and Matt. 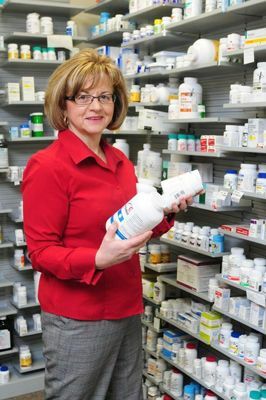 After 15 years of working for “big chain pharmacy," Mrozek realized that owning her own business and taking care of people wasn’t just a dream. It could really be a reality. In the summer of 1997 Wanda opened the doors of The Hometown Pharmacy in New Castle, PA, inside Joseph’s Supermarket, a small, family-owned store. As an independent owner, Wanda was able to take time to get to know her patients, service their healthcare needs and provide quality care that in today’s pharmacy experience is hard to come by. The early years were tough. Raising two kids and running a business had its challenges. As business began to grow and prosper, it became a family affair. Her brother Bob Ekiert joined her in partnership a year after opening. Wanda and Bob’s father made free deliveries all over town to help … a service Hometown still provides today in all of its locations. At age 15, their daughter Stephanie spent time after school assisting with payroll. It just “clicked” with many folks. The Hometown experience of low cost prescription medications mingling with plain, old fashioned customer service resonated. In 2000, Hometown opened its 2nd location in Cornersburg, OH followed by Struthers a few years later. As Youngstown became a pinnacle for growth for the company, Hometown opened a formal headquarters in Poland/Boardman, OH under the Hometown Pharmacy Solutions (HPS) name. Expansion continued and in 2007, RXIS Institutional Services opened, a full service pharmacy serving skilled nursing and assisted living facilities throughout the region. A compounding pharmacy and a pharmacy consulting business soon followed. The personal service knowing your customer was the perfect formula. 16 pharmacies later, it’s really why most folks still come to our stores. Wanda’s humble beginnings as a young woman with the belief that owning a small business and helping people really is the American dream.